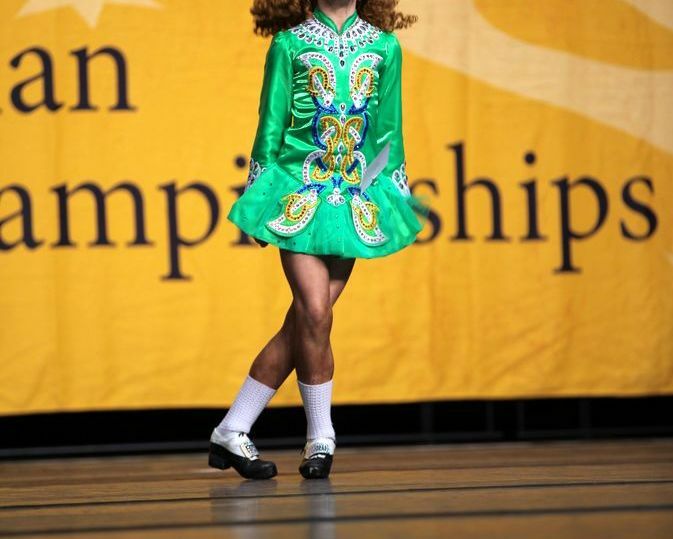 This beautifully designed Gavin dress has been much admired by judges, dancers and teachers alike. Worn by a World Qualifier at the 2015 Australian Championships. 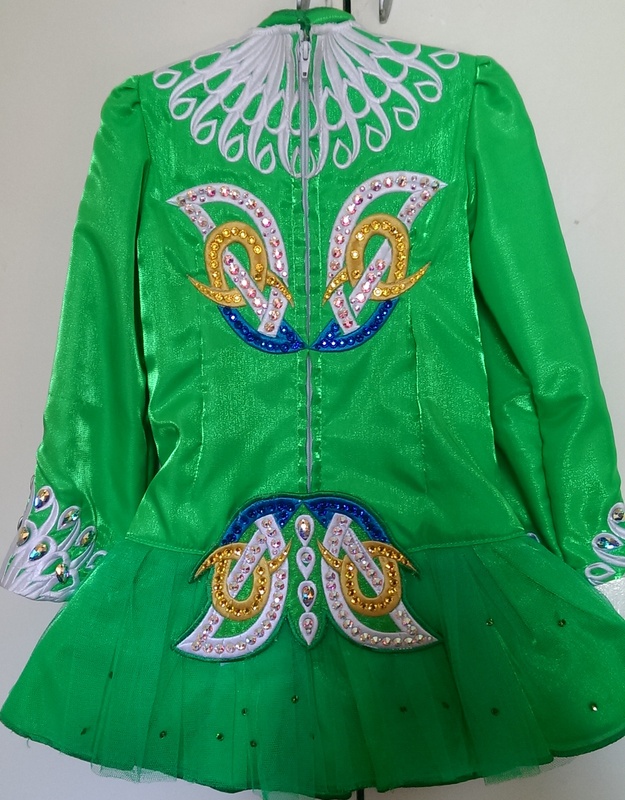 It is in immaculate condition and we are sadly selling it as it is now too short for my daughter. 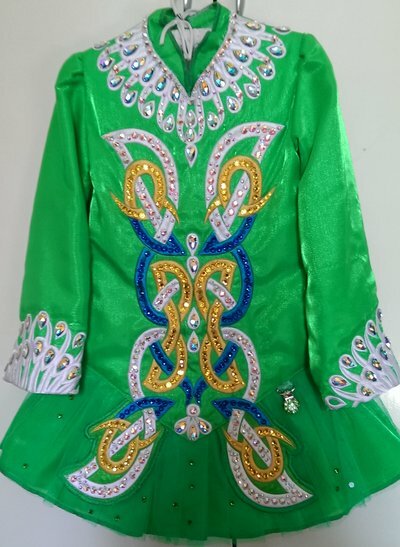 The dress is a vibrant green satin with rich gold and white Celtic knot work highlighted by blue accents that extend onto the front of the skirt. The skirt is a brilliant green tulle covered in crystals that sparkle on stage. 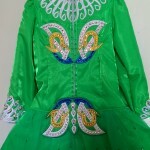 It is covered in hundreds of genuine Swarovski crystals and the neckline is adorned with AB teardrops in various sizes. The matching kick pants have never been worn. The dress is odor free and has no tan stains on the inside. It has been stored flat, in a smoke free home and in a purpose made storage bag. Overseas Buyer to pay for shipping and any insurance required. Please email for more information and measurements. Happy to send photos of the dress with a tape measure to ensure sizing is correct. Asking Price: $1,550 USD. Shipping costs are included for my own country, overseas shipping is extra. Sale is final.